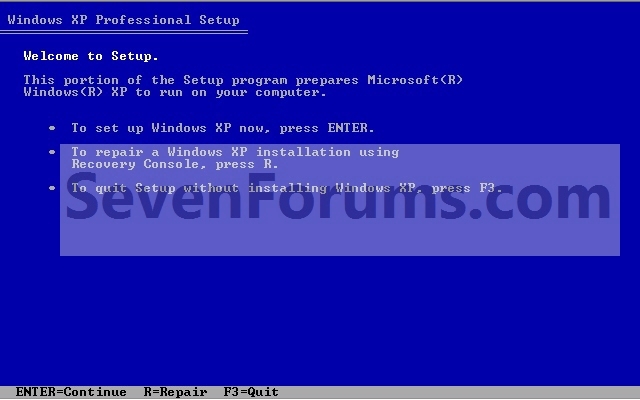 This will show you how to install Windows 7 and XP to dual boot with when you already have either Windows 7 or XP installed first. With a dual boot installaton, you will have two operating systems (OS) installed. When you start the computer, you will have the choice to choose which OS you would like to start up to. 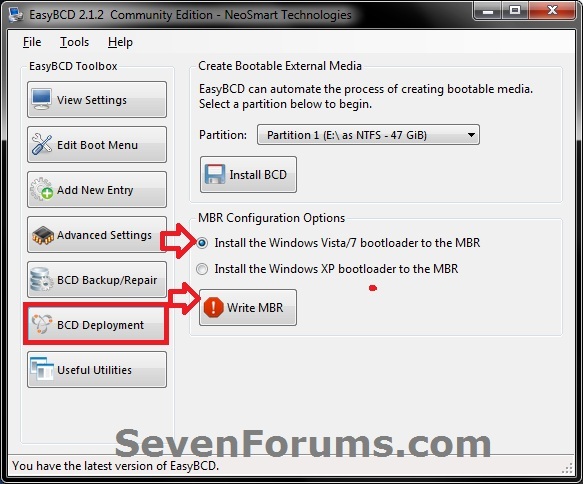 This method is the easiest way of doing a dual boot with these two operating systems. When dual booting with another OS (ex: Vista or XP), you may not always have that OS partition show up in Computer with a driver letter in Windows 7. If this happens, then you will just need to add a drive letter to the OS (ex: Vista or XP) partition in Windows 7 Disk Management for it to show up in Computer with a driver letter. 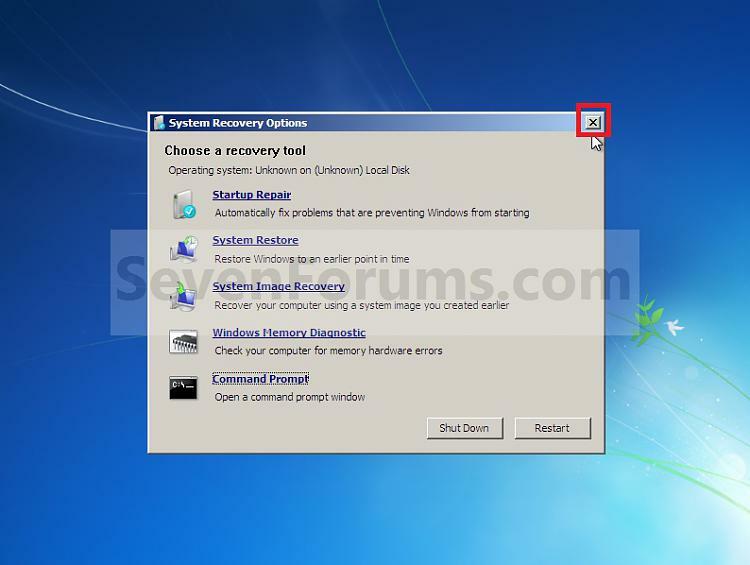 To stop XP from deleting your Windows 7 System Restore Points everytime XP is started, then see System Restore Points - Stop XP Dual Boot Delete to hide Windows 7 from XP. Internet or phone access to activate Windows 7. NOTE: This is the boot screen where you select what operating system that you would like to start. By default, you have 30 seconds to choose another operating system before the default operating system will start automatically. 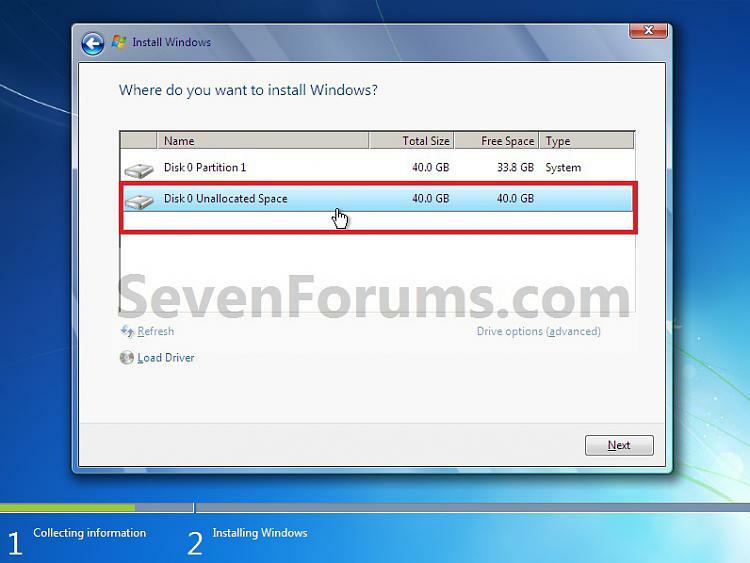 NOTE: If you have a RAID setup, you will need to have the Windows 7 RAID drivers on a USB flash drive available to select and load while installing Windows 7. 1. Do step 2 or 3 below for where you wanted to install Windows 7 at. A) With your Windows 7 installation disc boot into the Command Prompt from the System Recovery Options screen. NOTE: Make sure that the CD/DVD drive is selected first in the boot order in the BIOS. NOTE: You would do steps 2 to 9 in METHOD TWO at that link. Windows 7 will need a minimum of 16 GB (16384 MB). A) Boot from your Windows 7 installation disc. 6. Finish installing Windows 7. NOTE: You would start at step 9 in that link to finish installing Windows 7. 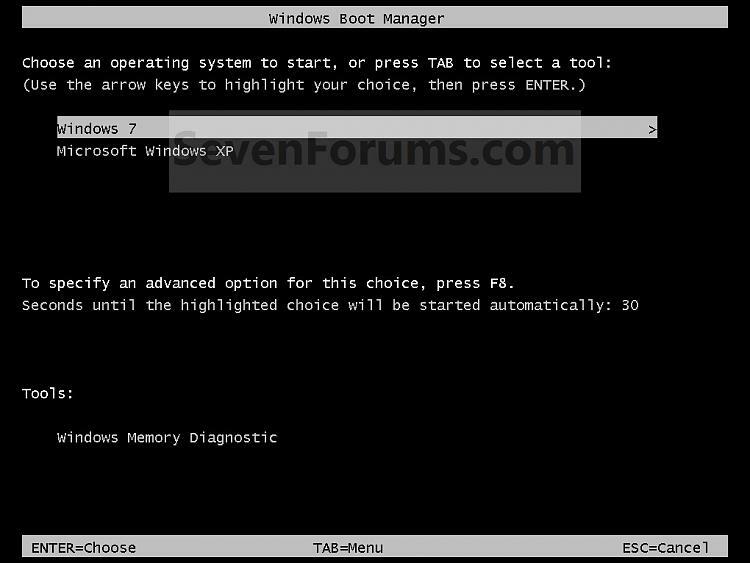 If you are only booting into Windows 7 and do not have XP listed in the Windows Boot Manager, then you can install only EasyBCD (step 8 Option Two below) to add XP (or Windows 7) while started in Windows 7 the same way to the boot list. If you have a RAID setup, you will need to have the XP RAID drivers for your specific motherboard on a Floppy disc available to select and load at the F6 prompt while installing XP. If you have a SATA drive, then you will need to do either one of these options to load the SATA drivers for XP for your specific motherboard. 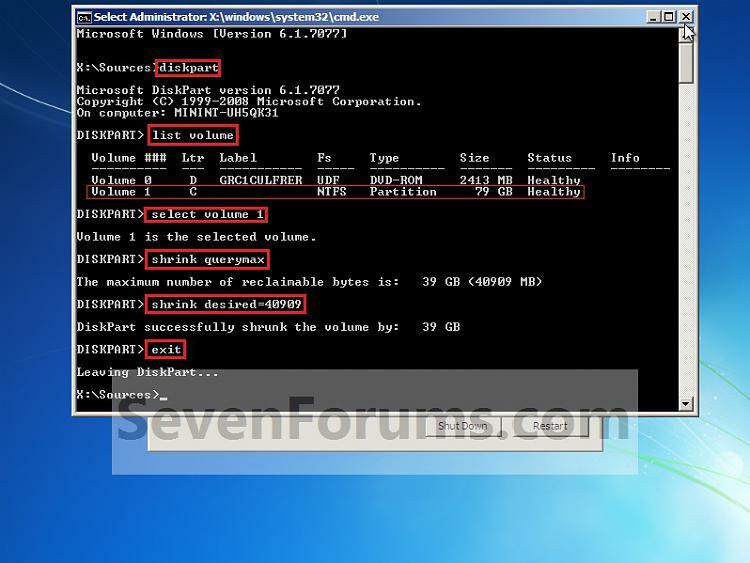 How to Load SATA Drivers in Windows XP Setup on your Dual Boot PC with Vista or Windows 7 for how to load your SATA drivers from a Floppy disc at the F6 prompt while installing XP. NOTE: If you want to install XP on a separate internal hard drive instead, then skip this step and go to step 2. NOTE: You would do all of Method One at that link. NOTE: On some multimedia keyboards, you may need to press the F-Lock or Function key before pressing F8. 5. 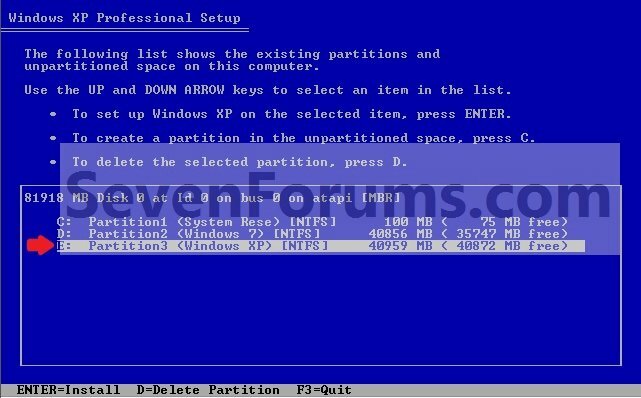 Select the partition (step 1) or hard drive that you want to install XP on using the arrow keys and press Enter. 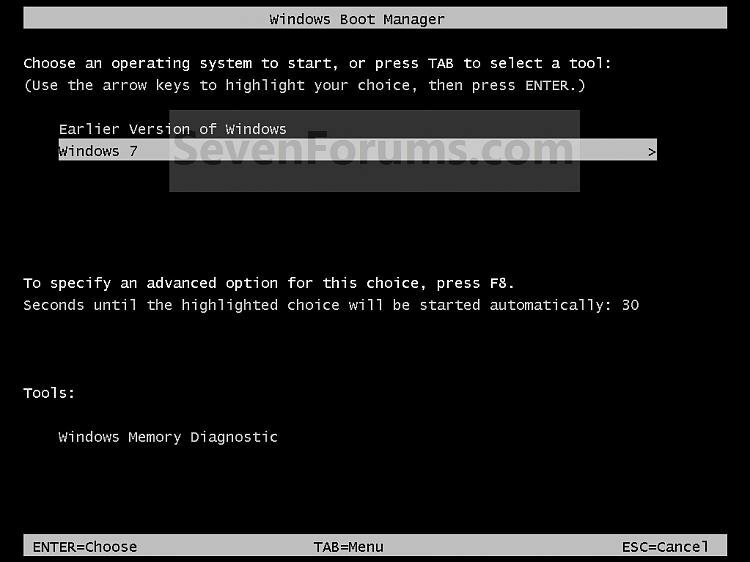 Using your Windows 7 installation disc, boot to the command prompt at startup. Type in these comands below, and press enter after each one. Exit the command prompt and restart the computer. At this point, Windows 7 should boot up the same way before trying to install XP. 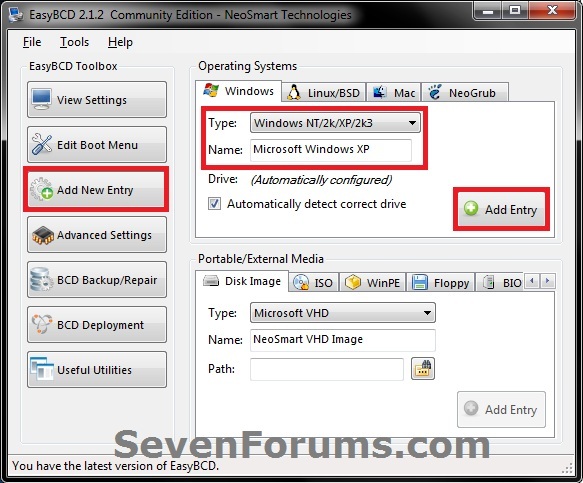 Continue to step 8 below and run EasyBCD from Windows 7 instead. 7. In XP, download and install .Net Framework 2.0 (32-bit) version or .Net Framework 2.0 (64-bit) version first, and EasyBCD (free version) for your 32-bit (x86) or 64-bit (x86) XP. NOTE: In XP, Net Framework is required to be installed to run EasyBCD. After you click on Register (at bottom of link) for the free EasyBCD, registration is not required to download it. 8. Run EasyBCD (free version). 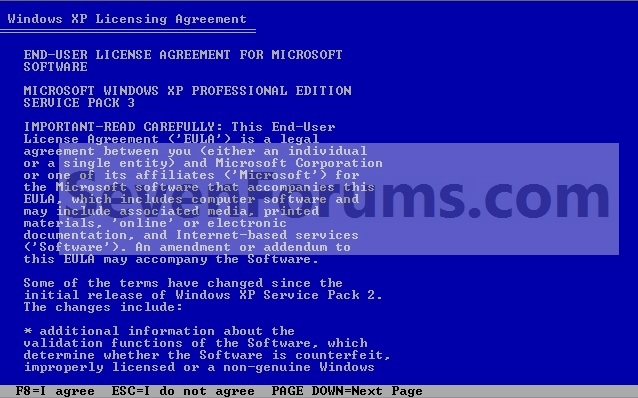 NOTE: This is required to repair the Windows 7 boot file and add XP to the Windows Boot Manager list. WARNING: Be sure to leave the Automatically detect correct drive box checked. 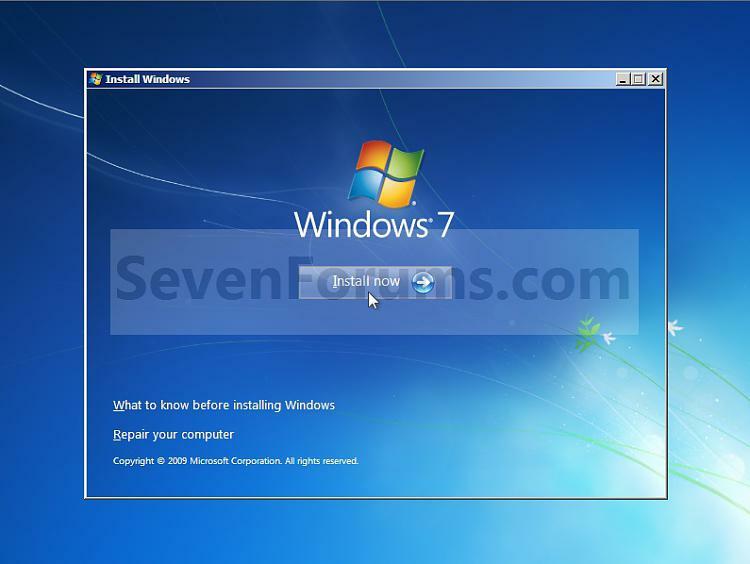 If Windows 7 will not start up when selected, then use your Windows 7 installation DVD to do a Startup Repair.